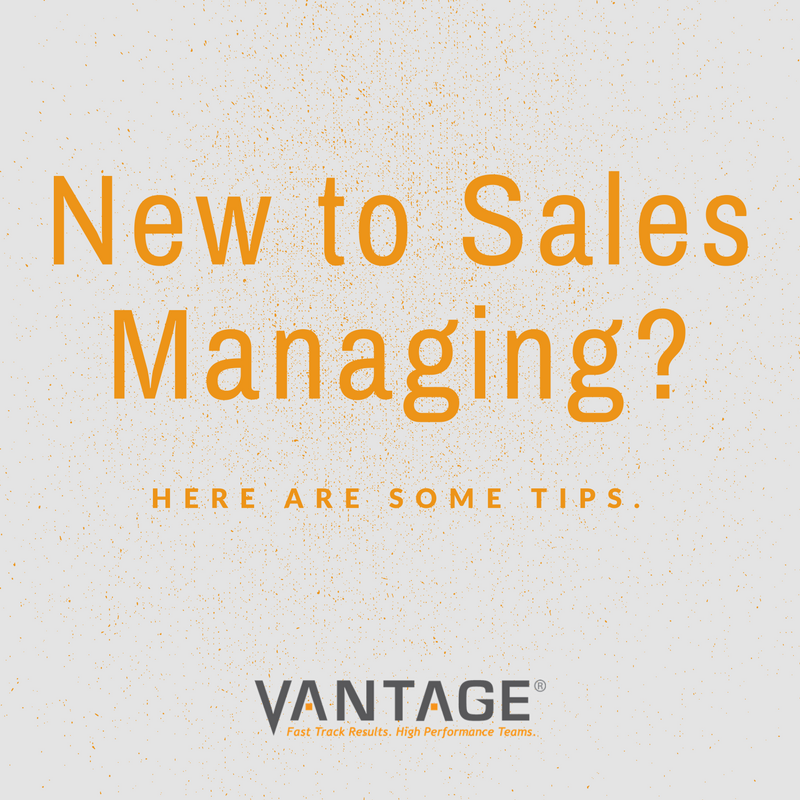 New to Sales Managing? Here Are Some Tips. 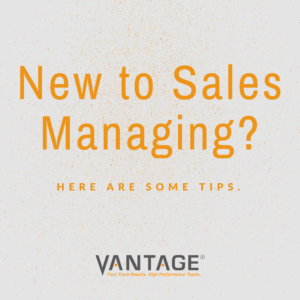 | The Vantage Group, Inc.
New to Sales Managing? Here Are Some Tips. Every employee is a valuable member of the team, but your sales staff are the ones who are on the frontlines bringing in the business. But your sales goals may fall short of expectations if your sales team doesn’t have the tools and knowledge they require. In this blog post, I’ll share 7 online sales training tips that can help your sales team close more sales. 1. Define every step of the sales process. Your sales team must be well versed on every stage of the sales process, from start to finish. This includes understanding how the final product will be delivered and fulfilled. To ensure that your sales staff masters every step you should break tasks down into their most basic components. Focus on each phase to determine what skills, sub-tasks, and knowledge is required. Once you identify all of the steps you can then create sales scenarios that your sales team can use to increase their proficiency. 2. Frequently update your product knowledge training materials. Assess your product knowledge content regularly to determine if any specs need to be updated. You should also notify your sales staff if any new product knowledge training materials have been added. Make sure all product knowledge materials include all features and benefits along with any competitor information they may need to know. 3. Focus on active listening skills. Active listening is one of the most important sales skills, but it’s also one of the most overlooked in sales training. Salespeople must be able to listen to what the customer needs and wants are, so they can offer them the ideal product or service. This also allows them to find the best course of action when it comes to highlighting the benefits and perks of the product or service. For example, they can customize their sales pitch by actively listening to the customer and figuring out which problem it will solve in their lives. Interactive presentations and scenarios help employees build their active listening skills, as they have the opportunity to engage in dialogue with you, as sales manager, in a supportive training environment. 4. Create an effective mentorship program. Sales employees who are struggling or need additional help with their training may benefit from a mentor. Supervisors, managers, or even more experienced members of your sales team can offer them the guidance and insight they need to seal the deal. 5. Stress the benefits beforehand. Keep in mind that sales professionals tend to be pragmatic and direct, which means that you need to tell them exactly WHY they need to actively participate in continual sales training. Make sure they understand the benefits of continually building their knowledge base to help them do their jobs more effectively… and close more deals! 6. Set realistic, actionable goals. There is nothing wrong with setting lofty goals for your organization, but your sales training needs to have clear, actionable goals that you can measure over time. Be very specific about what you want to achieve, how long it will take, and what employees need to be able to do when all is said and done. For example, they must be able to increase their sales figures by 5% by the next quarter. This will give them a precise goal to set their sights on and help you gauge the effectiveness of your online sales training program. 7. Offer ongoing sales training. Training never stops. Every employee, from new hires to seasoned veterans, should have access to ongoing sales training and activities. This gives them the power to brush up on their skills and discover new information that can benefit them on-the-job. It’s also best to space the sales training over time, such as offering them a refresher information every month or asking them to renew their certifications once a year. Spaced sales training can increase knowledge retention and reinforce skill sets, which makes them more productive members of your sales team. These 7 tips can help you develop a sales training strategy that offers your sales team the skills and knowledge they require to seal more deals. Do your research beforehand to learn about their preferences, learning styles, and goals so that you can create a personalized online sales training program that meets their needs.